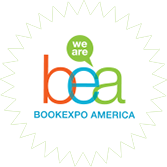 Pubtech Consulting will be once again at BEA representing Trilogy. We are excited about our new offerings including an enhanced Production Module, Fully Hosted EDI, and our Dispilio Self Serve Reporting Portal. Come visit us at Booth 633 for a demo and enjoy some of our Canadian and UK chocolate.